Sequels can be a hit or miss. Sometimes they're innovative and add a new element to the series or they can completely miss the mark, removing the novelty that was acquired from the last game. Luckily, the last few games in this video game series have been good with only a few setbacks. I recently completed all the chapters and storylines so it deserves a place on the blog. 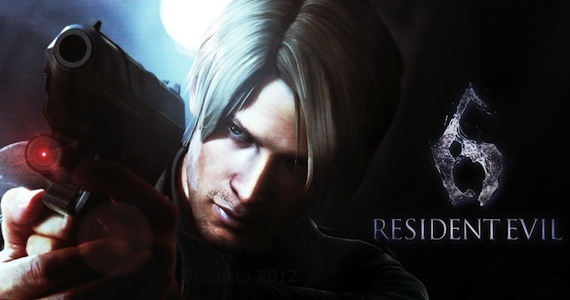 The game that I will be reviewing is the survival horror sequel: Resident Evil 6. The Premise: Set several years after the events of Resident Evil 5, the President of the United States has decided to disclose the events behind the Raccoon City outbreak in 1998. However, before he was able to do so, the world is soon pulled into another international B.O.W. incident of epic proportions. Spanning through four different character storylines over the course of one year, Resident Evil 6 follows the development of the new C-Virus, the malevolent forces behind the outbreaks and the heroes working to save the world. A few of the main characters (L to R): Helena Harper, Leon S. Kennedy, Ada Wong, Jake Muller, Sherry Birkin and Chris Redfield. 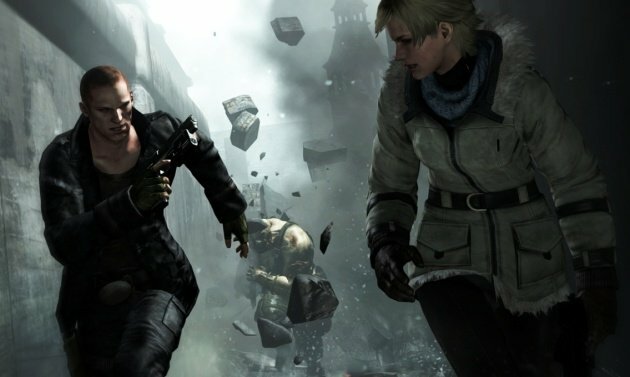 Resident Evil 6 is four interlocking storylines where the characters interact with each other at different points through the year. The chapters include: the zombie outbreak with special agents Leon S. Kennedy and Helena Harper, the J'avo missions with BSAA soldiers Chris Redfield and Piers Nivens, the Edonia escape with Jake Muller and Sherry Birkin, and the behind-the-scenes adventure of Ada Wong. 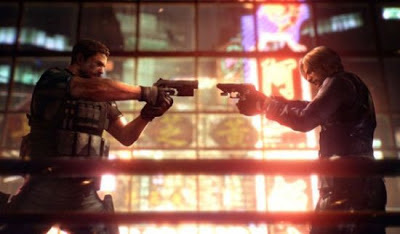 Where To Play: Resident Evil 6 is available on the PlayStation 3, Xbox 360 and Microsoft Windows. 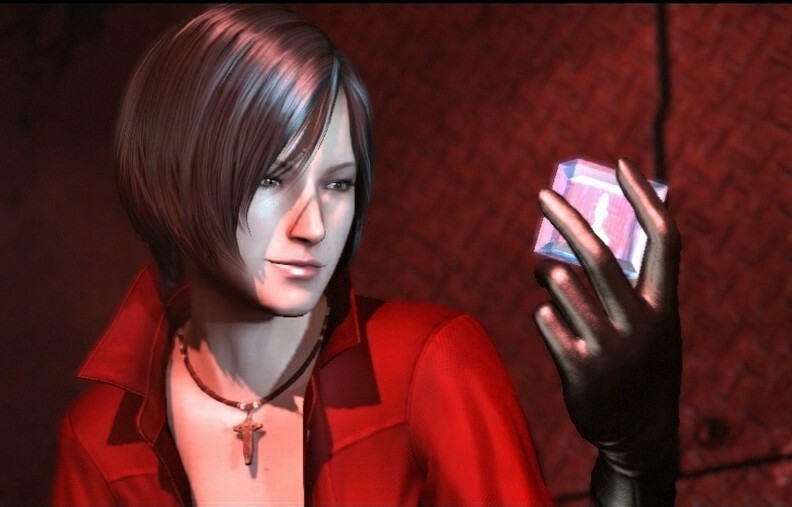 The Good: Resident Evil 6 wasn't just one game - it was four. Depending on the type of gamer that was playing or which previous Resident Evil they preferred, there was a chapter made to that style. Zombies (early Resident Evil), J'avo (newer Resident Evil), Ustanak and spy missions were the enemy types included. Personally, I loved playing through the zombie levels because it reminded me of the earlier Resident Evil games (Leon's chapter). Also, per each style, there were new weapons to experience and the main player HUD screen changed for that character. Even though the main story was broken up into four parts, I loved the narrative. It felt an improvement over Resident Evil 5, which was lacking for character development. I felt for the new characters - they weren't thrown in to propel the established icons but were integral to the story. Will we see most of them again? Probably not. However, there were a few that have the potential to be good allies (as supporting, most likely) in the future. 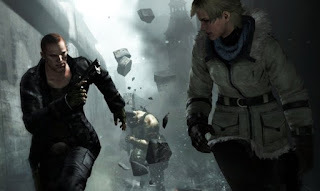 The Bad: There are only a few things I didn't like about Resident Evil 6. The first would be the J'avo enemies. I understand that they're like the bad guys from the fourth and fifth game but the experience was TOO Call of Duty - it ruined Chris' and half of Jake's chapters for me. If I wanted to play a tactical war game, I would. The second would be the storage space for items. Internal space was fine but at times, it did get frustrating trying to make room and figure out why I couldn't pick up items. Plus, there really was no development for weapon upgrades besides unlocking skills (which needed to be purchased). Resident Evil 6 was enjoyable, I'll give you that. However, I could have done without some of the chapters. With so many characters added to the story, there needs to be purpose to have them around. The story improved over the last installment and the return of the zombies is a highlight to purchase the game. Plus, the graphics were amazing, with one scene in particular in setting the mood for the climax of the storyline. For those of you still undecided, I would recommend to get Resident Evil 6 because for five chapters within each of the four storylines, it was surprisingly a long and worthwhile game. Agree or Disagree with the review? Share your thoughts below and let us know what you've thought of the game. Resident Evil will probably end up as the longest running entertainment franchise ever.